Last week’s episode of The Gifted proved that the new X-Men adventure television series had some serious potential. In this week’s episode, “eXodus”, the Mutant Underground is put to the test once again, all the while maintaining a certain consistency that I like to see in a TV show. Although still not perfect, the third episode of the series delivered enough suspense, plot development, and solid performances to keep you entertained and satisfied. In “eXodus”, the Strucker family decides that getting help from Kate’s brother, Danny, is the best option for extracting Reed out of the hands of the Sentinal Services. Their decision, though, is met with resistance in the form of the overarching theme for the series: mutants are not welcome. Other people–friends of Kate even–find out that her children are being housed at Danny’s, and they stage a break-in to try to capture and potentially kill them. With Thunderbird’s tracking abilities, he and Eclipse find the Strucker family. Dreamer sacrifices her relationship with Thunderbird by implanting a memory of her and him into Blink’s head so that she has a reason to open a portal and save the Strucker’s, while Reed makes a final decision on what side he stands on. 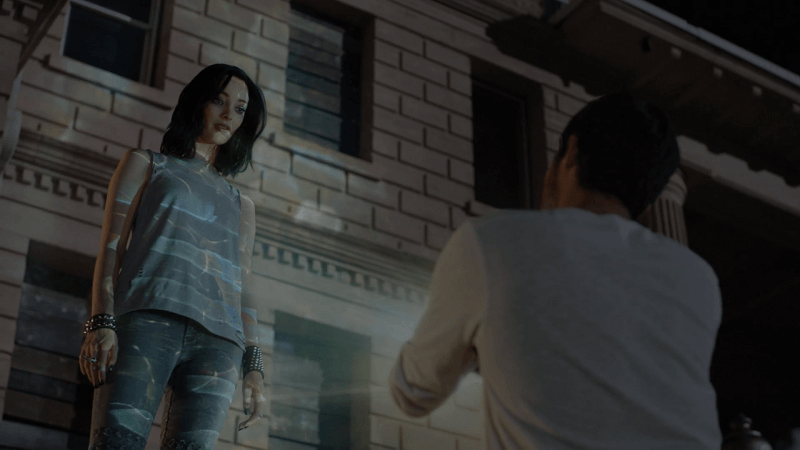 A lot of what was seen in the past two episodes of The Gifted was seen again this week. Mutants are still being treated like they aren’t even human, to a degree that I thought was a little over the top. 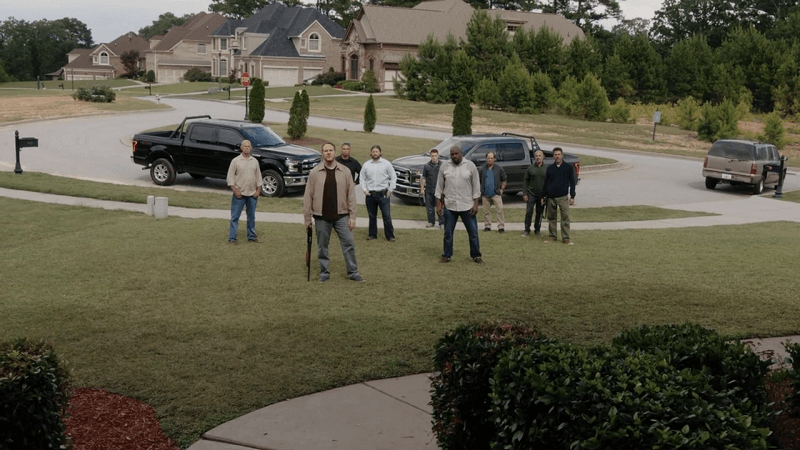 The people who were trying to capture and kill the Strucker children outside Danny’s house felt exaggerated to a certain degree. I get that humans don’t like mutants… But to the point where if normal people hear of their whereabouts they come with guns a blazing? I don’t know. I thought that that whole situation was a bit forced from the writers, with the intention of making the episode more thrilling than it needed to be. I liked that there was consistency here, but it was too much for me in that scene. Other aspects of the show that remained consistent in a good way, though, included: why the Mutant Underground views Thunderbird as their leader, the actors’ performances, and the Strucker family’s emotional bond to each other. The thing is that with every tragedy, there is also beauty hiding beneath the surface. Mutants are discriminated against, hated, and even beaten or killed because they are different, but underneath it all, they are beautiful (those that aren’t truly evil). In the first scene of the episode, you’re given a flashback about how Eclipse and Polaris sparked a romantic flare. You see beauty hiding beneath the surface, waiting to erupt (much like Eclipse’s powers). You see it again when Reed meets the mother and daughter at the bar seeking asylum with the Underground. The mother takes away Reed’s pain from being shot by the Sentinal Services, ultimately stopping him from making a big mistake. I thought that the portrayal of these contrasts between beauty and tragedy was done well in this episode. The plot is developing at a steady pace. I like that the underlying conflict with Dr. Roderick Campbell is being played out slowly. There’s something going on there, but you still don’t know what’s the importance of it. The mystery surrounding the Strucker children is really eating away at me, so that’s a plus. I have a feeling that Andy may be possessed by the ancient mutant, Legion. His powers are only accessed through anger, and they are strangely similar to those that Legion possesses. Although it’s a longshot, I thought it was worth noting. I mean, Andy somehow has full control over his abilities when he’s angry, but he should be struggling to keep his powers in line regardless of his mental state. If done intentionally by the showrunners, then it suggests that Legion may become in control when Andy’s angry. Watching “eXodus” gave me continued hope for the future for The Gifted. I didn’t like that the writers forced a conflict between the humans and mutants so early on in the series just to keep viewers entertained. I saw no other value for that scene besides sparking a love triangle between Dreamer, Blink, and Thunderbird and getting Danny to see the violent side of humanity. Danny’s decision to help Kate and her family could’ve been achieved in a different way, I thought. How important is Danny within the show anyways? This episode remained consistent in showing you how mutants are treated, but it also added an aspect of their tragedy that gives hope for their cause: beauty. Verdict: “eXodus” provides viewers with an exciting entry into The Gifted universe and more into what can be expected from future episodes. The consistent use of the underlying theme that mutants have it rough is a plus. I liked the addition in the show that there is beauty beneath their tragedy. Yet in this episode, the humans going out of their way to try and hurt the Strucker children felt like forced writing. Andy’s powers have a source: anger. But I still don’t get how he is able to control them so precisely. Legion? Is that you lurking in the shadows? Reed works with the Sentinal Services so that he can help his family, while Kate and the Strucker children go on a mission of their own to help Reed. Seriously, Andy? How can you control your powers so easily?